 Goat anti Mouse IgG1 antibody recognizes mouse immunoglobulin isotype G1. Goat anti Mouse IgG1 antibody has been adsorbed against mouse IgM, IgG2a, IgG2b, IgG3, IgA and human sera to minimise cross-reactivity. Antisera to mouse IgG1 were raised by repeated immunisation of goats with highly purified antigen. Purified Ig was prepared from whole serum by affinity chromatography on Mouse IgG1 covalently linked to agarose. Jackson, S.J. et al. (2004) Cannabinoid-mediated neuroprotection following interferon-gamma treatment in a three-dimensional mouse brain aggregate cell culture. Eur J Neurosci. 20: 2267-75.